Photo ilustration by Jeff Quinn. Science says, dab sugar water on a baby’s lips and she’ll smile. Swap in salt water and you’ll elicit a more neutral reaction, while sour or bitter flavors will make her fuss and frown. In other words, more Negronis for mommy. Some scientists point to the experiment above as proof that we are hardwired to enjoy sweet things. To the developing human body, sugar—a carbohydrate—represents an easy fuel source. But too much sugar brings cavities and bad skin; more still can invite diabetes and obesity. The key to good health is a balanced diet—one needs some broccoli to offset all those carbs. Similarly, the key to a good wine is balance. Baby wine drinkers also often crave the sweet stuff. How many of us began our fine wine journey with a taste of Boone’s Farm, Liebfraumilch, or a wine cooler? Sweetness is a reliable characteristic of bottom-shelf brands, yet many of the world’s greatest wines contain some degree of residual sugar. Even so, there has been a dry wine revolution in the last few decades. Consider the rise of the VDP and Grosses Gewächs in Germany, the swelling category of non-dosé Champagne, and the increasingly sluggish sales of dessert wines. In a recent conversation with importer Terry Theise, he remarked that there was nothing in wine as poorly understood as the role of sugar. Indeed, sugar seems to have become an almost political topic in the wine trade, with some buyers refusing to even taste Champagne above certain dosage levels. 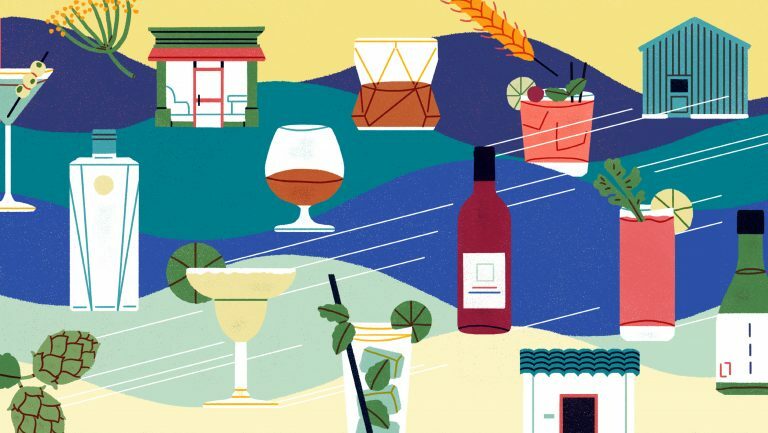 The controversy invites closer consideration of the topic—where sugar comes from, how its presence or absence affects certain wines, and some of its more mystical attributes. Sugars are the main source of perceived sweetness in wine, and they come in many forms. Inside of the grapevine, indeed any plant, the primary energy substrate is sucrose (in animals, it is glucose). Sucrose is a disaccharide, the combination of a single glucose and a single fructose molecule. This breaks down during the ripening of the grape, so a fermenting must always starts with equal parts glucose and fructose. Saccharomyces (whose very name translates to “sugar fungus”) preferentially consumes glucose; as a result, residual sugar is typically composed of 60 to 70% fructose, though this varies according to grape variety and yeast strain. Because fructose molecules interact with the sweetness receptors on our taste buds at a very high rate of efficiency, fructose tastes twice as sweet as glucose. This is part of the reason the packaged food industry relies so heavily on high-fructose corn syrup—that, and it is extremely cheap to produce. Other sugars are present in wine in small, often negligible amounts. These include cellobiose, galactose, and pentoses, which are five-carbon sugars such as arabinose, rhamnose, and xylose. As Saccharomyces won’t consume them, they are often referred to as “unfermentable sugars,” and as they don’t taste very sweet to humans, they are rarely discussed. That said, some of them can be enjoyed by Brettanomyces or certain strains of lactic acid bacteria, which will mark a wine, if not leave it flawed. Oak aromas can also add to the perception of sweetness. Guaiacol, eugenol, vanillin, and oak lactones evoke vanilla, coconut, and baking spices—scents that often herald dessert. These odors can trick our brain into perceiving a higher level of sweetness than is chemically measurable in the wine. Fruity aromas can do the same thing. “Our brains don’t work like adding machines,” Dr. Waterhouse explains, elaborating that what we think of as “taste” is created in the brain, informed by a variety of inputs that includes scent, touch, sight, temperature, and even memory. “Things interact and can emphasize or mask each other. Sweet and fruity are tied together in our brains, as ripe fruit is generally sweet.” This association would have been especially important to early humans, who undoubtedly used their sense of smell (along with touch) to select the ripest and therefore most energy-giving fruit for consumption. Alcohol also adds to the sensation of sweetness and viscosity of a wine. Glycerin, also known as glycerol (a sugar alcohol), is a byproduct of yeast metabolism and the second biggest component in wine after water and ethanol. Because it is only half as sweet as sucrose, its low concentrations move the sweetness needle only slightly. And while it is often said to increase viscosity in wine, Dr. Waterhouse’s book Understanding Wine Chemistry shows that its concentrations are rarely above threshold, even in dessert wines. I moved to wine country nine years ago. Back then, when speaking with winemakers, we would discuss the ripeness of grapes in terms of Brix. At some point, I noticed that winemakers were eschewing talk of Brix for something called “gluc/fruc.” Gluc/fruc is exactly what it sounds like: the total amount of glucose and fructose in a solution. How is this different than Brix? Don’t they both measure sugar and therefore potential alcohol? Dr. Rich DeScenzo, of ETS Laboratories in St. Helena, breaks it down. “Brix, which is often checked in the field with a refractometer, is effectively a measurement of density, not of sugar. All sorts of things affect Brix—sugars, acids, tannins—basically any soluble solid.” As freshly harvested grapes are composed of around 25% sugar, sugar is the dominant component of the density. Because of this, there is often a strong correlation between Brix and final alcohol, but it is not infallible. 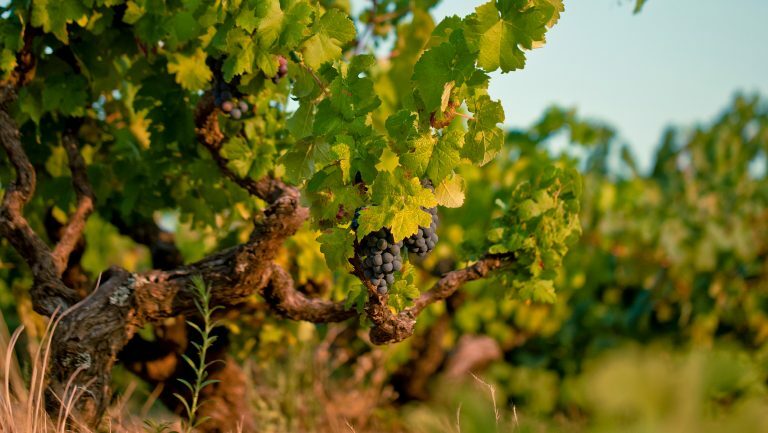 Depending on the conditions of the vintage, there may be more or less solids in a given year, which will affect how closely Brix correlates to the resulting alcoholic strength of the wine. Brix also fluctuates in accuracy depending upon the stage of fermentation. “When you go over 18 Brix, there is more sugar than Brix. Under that, there is less sugar than Brix,” Dr. DeScenzo explains. What’s more, as the yeast convert sugar to ethanol, the density of the solution changes. Pure water has a Brix reading of zero. Ethanol is less dense than water, which is why finished fermentations show a negative Brix reading. The OIV has decreed that residual sugar will refer exclusively to the presence of glucose, fructose, and sucrose in a wine. The inclusion of sucrose allows for wines that have been chaptalized, though that sucrose eventually breaks down into equal parts glucose and fructose in the bottle. But while this ruling sounds refreshingly simple, the conundrum for FIVS is that not all wineries use the same methods to measure residual sugar. This is reflected in the fact that, historically, RS stood for reducing sugars, a nomenclature to which some countries and wineries still cling. As noted, sweetness is not an empirical quality wedded solely to the physical amount of sugar in a wine; it is relative to both the other components in that wine as well as the sensitivity of the taster. That said, certain generalizations can be made. Individual thresholds aside, there are elements in wine that influence how sweet it will taste. The perception of tannin and acid notoriously diminishes—and is diminished by—residual sugar, while high alcohol increases the sensation of sweetness. According to Dr. Gordon M. Shepherd’s Neurogastronomy, the reverse is also true: sweetness increases perceived viscosity. But of these ballasts, the most important is acidity. And it is the relationship between sugar and acid vis-à-vis perceived sweetness that the International Riesling Foundation (IRF) admirably set out to quantify. 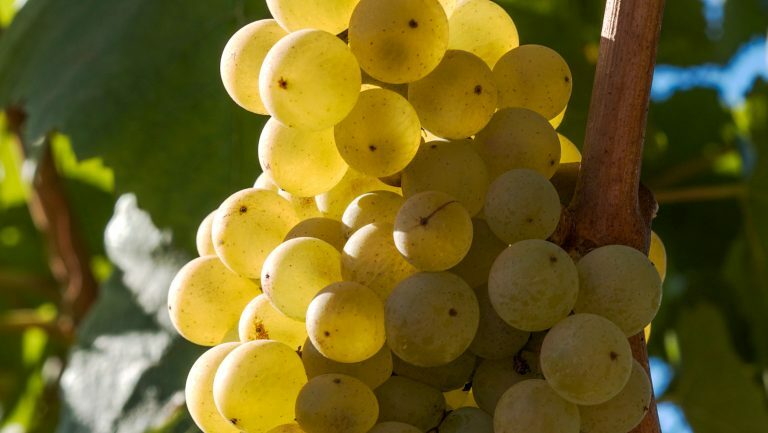 Riesling is widely considered one of the world’s most noble grapes, and yet even its most fervent advocates admit that selling the wines can be difficult. While cumbersome German nomenclature is occasionally the culprit, more often the issue lies with consumer insecurity. People simply have a hard time predicting how sweet a Riesling will be just by looking at the label. Riesling Rendezvous, a Seattle-based international gathering of Riesling producers, held its first symposium in 2008. According to current IRF President Janie Brooks Heuck, that year, the debate between panelists regarding perceived sweetness got so heated that the organization decided to intervene. Clearly the confusion regarding what constituted a dry wine existed on the producer as well as the consumer level. The result was the IRF scale, a useful if imperfect tool for communicating sweetness that has since graced the back label of over 26 million bottles worldwide. Producers determine their wine’s position on the scale via a three-step process. First, they divide the grams of residual sugar by the grams of titratable acidity (TA). If the resulting number is less than one, the wine is considered dry. This means that a wine with 5 grams per liter of acid and 1 gram per liter of sugar would be dry, but so would a wine with 11 grams per liter of sugar so long as the acidity weighed in at 11 grams per liter or more. Ratios between 1.0 to 2.0 are considered medium dry, 2.1 to 4.0 are medium sweet, and over 4.1 is decidedly sweet. This is similar to Germany’s rules for trocken Riesling, which state that residual sugar can be up to nine grams per liter so long as total acidity falls within two grams per liter of the sugar. The second step uses the wine’s pH to further refine its setting. A lower pH might inch the wine toward dryness, while a higher pH may push it to sweet (see the thresholds here). The final step is a taste test, in case the sensation of the wine differs from its mathematical projection. And while this last step is not overseen by the IRF, Heuck insists that an official committee regularly stages blind tastings, and that they agree with the wineries’ positioning 99% of the time. Fallible or not, at the very least, the IRF scale takes a considerable amount of guesswork off the shoulders of the consumer. Very sweet wines require elevated acidity to make them palatable, but the reverse can also be true. It naturally follows that dry wines from some of the highest acid varieties (Riesling, Chenin Blanc) and the most marginal climates (Champagne, the Mosel, the Finger Lakes, parts of Canada) regularly feature some degree of residual sugar. This is an especially hot topic in Champagne, where drier styles are trending. The shift in consumer tastes is harder to explain, though theories abound. On an anecdotal level, my personal experience in the trade has led me to believe that dry wines are often regarded as more sophisticated than off-dry or sweet wines, especially in Champagne. This view is reinforced by the marketplace. Most producers’ entry level non-vintage Champagne is measurably sweeter than their vintage or tête de cuvée bottlings. 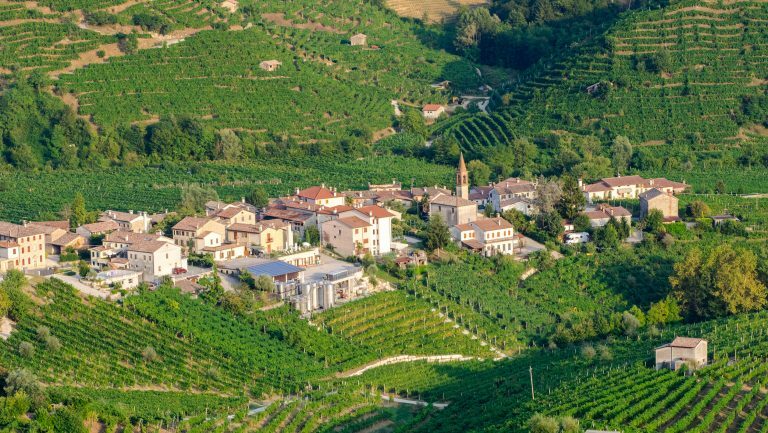 Also, it is not uncommon for larger houses to send their sweeter wines to the US and/or Asia and reserve their drier efforts for the European market. Whatever the specific motivations behind these decisions, it is hard to avoid the subconscious messaging: dry Champagne is better Champagne, and those in the know drink dry. Though the primary purpose of dosage in Champagne is to balance acidity, it also serves to counter the lifting effect of CO2 (which forms a weak carbonic acid in solution) as well as the phenolics of the grapes. The soothing of phenolic bite, specifically the bitterness expressed by Viognier, Gewurztraminer, and Pinot Gris, is a common application for residual sugar in dry white wines. Alsace is notorious for walking the line that separates dry from sweet, often to the consternation of consumers. But to diehard fans, this confusion only speaks to the multifaceted character and complexity of Alsace. And while the regional style skewed a bit sweeter in the 1980s and ‘90s, Trimbach has always been firmly within the dry camp. But as previously established, dry is a relative concept. Deiss feels there are many types of vineyards in Alsace, with two extremes. On one hand, there are sites where ripening happens quickly and “you can harvest a beautiful, ripe fruit with mature skin and no bitterness, plus the freshness from the early picking,” and on the other, ripening is slow and “botrytis hits late, at the end, and you can make a very elegant wine with some sweetness because the acidity wasn’t ripened away by the weather.” In his experience, botrytis tends to favor vineyards on the valley floor, where it is cooler and the soils are heavier. This article has so far discussed residual sugar primarily in terms of its role as a balancing agent in fine wine, but sugar has more devious applications as well. Residual sugar can be used to mask flaws, smooth rough edges, and—because all of us started life as sugar-craving infants—increase appeal. “For me, the sweetest I’d consider a Napa Cabernet to be dry is at two grams per liter, but I prefer under one gram per liter,” Ramey allows. “But if you harvest at a potential of 16% alcohol and the yeast struggle, you’ll probably end up with 2.5 grams per liter. Add concentrate, and you’re hitting 3 to 3.8 grams per liter. And that—that is sweet.” Grape concentrates such as Mega Purple have effectively two applications. Their primary purpose is to be added during fermentation to increase the sugar and pigment of a must, but some producers introduce them following fermentation to imbue their wines with added richness. This second approach is not unlike adding süssreserve to a fully fermented German Riesling. “You add the concentrate right before bottling, then add Velcorin, then sterile filter. You do it right at the bottling tank. I’ve helped clients do it.” Ramey has also added bulk Port to California Cabernet at the behest of clients. Why would a producer who is paying for a consultant and therefore likely making a high-end wine add concentrate or Port right before bottling? Most likely: points. While a touch of sugar in red wines is commonly employed to entice low price-point drinkers, many believe sweetness appeals to critics as well. While some are known to love rich and inky (and potentially slightly sweet) reds, other critics may simply be experiencing palate fatigue. As anyone who’s tasted too many wines in one sitting can attest, sugar is a salve to the weary tongue. It’s not impossible to imagine that low levels of residual sugar give a wine an advantage during a marathon tasting. It’s also possible that the producers in question—along with their clientele—simply prefer their wine off-dry. After all, America remains a nation of soda drinkers, and an analysis of the sugar content of popular vermouths suggests a preference for sweetness in cocktails as well. The reason David Ramey would follow a dose of grape concentrate with Velcorin (an anti-microbial enzyme) and sterile filtration is because the presence of residual sugar typically makes for an unstable wine. Sugar, lest we forget, is the preferred snack of microbes. And yet, of the world’s greatest wines, dessert wines are often the longest lived. How could something so sweet survive for months, never mind decades? And once they are open, why do bottles of dessert wine stay fresh for so long? And why does the impression of sweetness in dessert wines seem to diminish with age? The more I thought about these things, the more impossible it all seemed. It was time to phone some friends. Regardless of whether sweet wines exhibit superior aging, it is still remarkable, from a chemical perspective, that they survive. Fortified wines are easier to understand; high alcohol is a known preservative. But what about unfortified styles? Dr. DeScenzo claims that osmotic pressure plays a critical role. For a microbe to live, it must maintain a comparable concentration of water inside its cell as exists in the surrounding solution. High concentrations of sugar force the water within a microbe to rush outward, and its cell walls collapse. This is the mechanism by which fruit can be preserved in syrup. That said, certain strains of yeast and bacteria can thrive at high concentrations of sugar (Zygosaccharomyces rouxii, the bane of Mega Purple, can survive in solutions of 85 to 90%), so osmotic pressure by itself is insufficient. “Most dessert wines have around 100 to 150 grams per liter residual sugar,” DeScenzo states, “but a fresh grape must that was harvested at 28 Brix has around 300 grams per liter of sugar, and yeast happily ferment that!” The secret to stability, he believes, is osmotic pressure plus alcoholic pressure (plus sterile filtration, widely practiced by producers of dessert wine). Acidity, as Robinson surmised, and SO2 are also essential. And they all—osmotic and alcoholic pressure, acidity and sulfur—interact with and reinforce each other. Kovács describes the ideal Tokaji. “If we have sufficiently high sugar, 140 to 150 grams per liter, and a nice alcohol like 11%, with a high acidity, then our free sulfur will be around 30 milligrams, with a total sulfur around 150 to 200 milligrams. We wouldn’t need to have the maximum allowed 400 milligrams because the high sugar, low pH, and nice alcohol make for a good stability.” When asked to provide his ideal Sauternes chemistry, Luc Planty, co-owner of Château Guiraud replied, “We look for wines between 13 and 13.5 degrees of alcohol, between 110 and 130 grams per liter of residual sugar, a pH of around 3.5 or 3.6, and a free sulfur as low as possible. [But] there is no exact formula, and the equilibrium can change according to each lot and vintage.” Once again, it seems that a balance of multiple forces is more powerful than any one factor alone. At one point during the research for this article, I thought I had cracked the case wide open. A 2015 article in Plant Physiology detailing the study of botrytis-infected Sémillon berries had come across my desk. 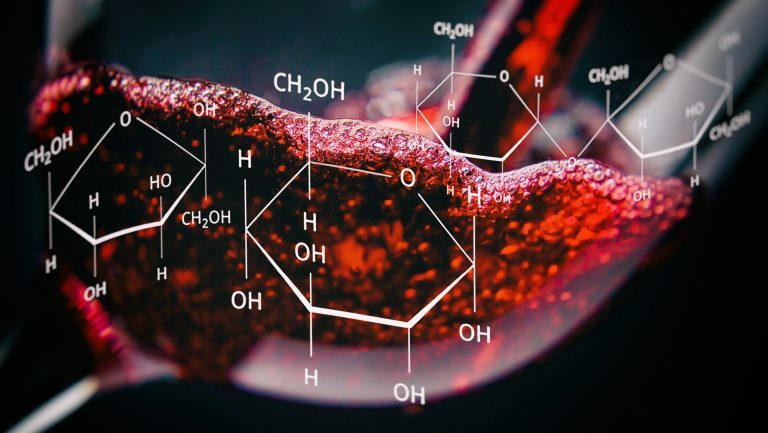 In the paper, scientists reported that, in addition to concentrating malic acid, botrytis led to the genesis of sugar alcohols, pentoses (formed from the breakdown of pectin), and phenolic compounds along with anthocyanins. Anthocyanins—that is, tannins and pigment—are known antioxidants and are traditionally produced by red wine grapes. Botrytis had effectively reprogrammed Sémillon to behave like a red grape! Could these anthocyanins be the secret to the long life of botrytized dessert wines? Dr. Waterhouse thinks this is unlikely. “The amount of anthocyanin is quite small, and at that level, unlikely to be a substantial pool of antioxidants. Plus, botrytis infections induce laccases that cause oxidative damage during winemaking.” Laccase is an enzyme known for eating anthocyanins, which many producers fight by adding powdered tannin (for red wine infections) or, more commonly, loads of sulfur. Indeed, per Egon Müller, “When I have botrytis, I add far more sulfur. Maybe you can bottle non-botrytis wines at 70 or 100 milligrams total sulfur and still have 30 free. When you have a botrytis wine, depending on the concentration, you very quickly add up to 200 milligrams total in order to have the same amount of free SO2.” In short, if botrytis is contributing to ageability, it is either through increasing complexity and concentration or an as-yet-unknown pathway. What about dessert wine’s uncanny ability to resist oxidation once opened? 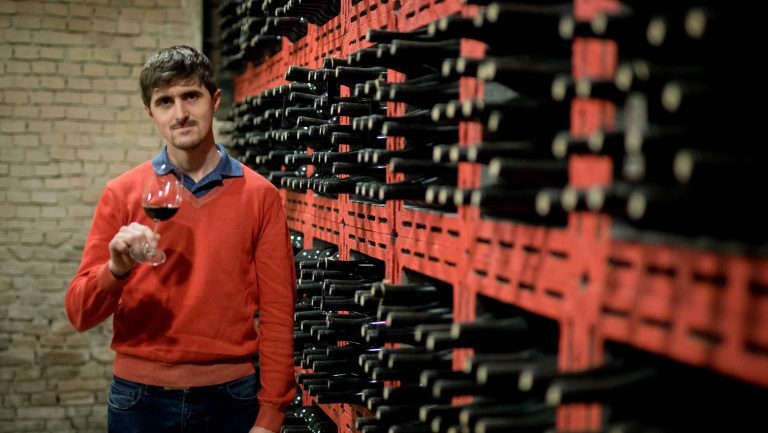 Eric Hervé, of ETS labs, was uncertain, but suggested it might have to do with the fact that many late harvest wines are made in an oxidative fashion. “The juice can get quite brown. So basically, anything that can oxidize in the wine has already been oxidized by the time it gets into the bottle.” Still others believe that it is the sugar itself that protects the wine. Not from oxidation, per se, but from showing signs of oxidation. To understand this more completely, we must return to Champagne. Tom Stevenson has regularly contended that low levels of dosage can adversely affect Champagne, making for wines that oxidize more easily and display a diminished capacity to age. To test his theory, he conscripted a group of producers to engage in dosage aging trials. Participating houses bottled a handful of magnums at zero, three, six, and nine grams per liter of dosage, to be opened at three and six years of age. The results of the first tasting were published in a 2016 World of Fine Wine article called “Sweet Truth.” In the piece, Stevenson references a conversation with Bertrand Robillard, a Champagne-based chemist. Robillard allows that part of the problem might be the tendency of producers who bottle at a low dosage to also employ reduced levels of sulfur. But the article also describes how sugar prolongs a wine’s freshness via two distinct mechanisms. The first involves sulfur. In wine chemistry, two sulfur numbers are typically cited: total SO2 and free SO2. Total SO2 represents both free and bound SO2, and this number is mostly fixed. By contrast, free SO2 is the sulfur that is unbound in a wine and therefore able to actively protect it against microbes and oxidation. This number diminishes with time, eventually disappearing altogether, at which point a wine is considered relatively naked and unprotected. Residual sugar binds SO2 but only loosely, and it is believed that, as free SO2 is depleted, the binds between sugar and sulfur break, which thereby releases bonus free SO2 into the wine. To quote Stevenson, “Thus the dosage acts as a reservoir of potential free SO2, and is an additional line of defense against oxidation.” The same rule applies to residual sugar in still wines. Stevenson also briefly suggests that sugar provides a kind of aromatic screening service via increased vapor pressure. Dr. Waterhouse also believes that sugar affects a wine’s aromatics, but in a different way. “With regard to chemical reactions, since the sugars are present at such high concentrations, the sugars tend to be the substance to get oxidized. [Oxidized sugar compounds] generally have negligible flavor and only slight or somewhat desirable aromas. So, the change from aging is subtle or slightly favorable.” This revelation explains not only the seemingly enhanced ageability of sweet or off-dry wines but also why dessert wines can be served for days or weeks before any sign of fatigue appears. But what about the fact that many dessert wines taste less sweet as they age? Many producers interviewed here have run chemistries on their older vintages and report that the amount of residual sugar remains static. So what happens? Tannins in older wines feel smoother because they bind together and lengthen; color diminishes with age because the anthocyanins fall out of solution and form sediment. Whither wither the sweetness? Wet my lips with harmony, then. I promise to smile.